The upcoming Blu-ray version of Back to the Future will include a special bonus for videogame fans. 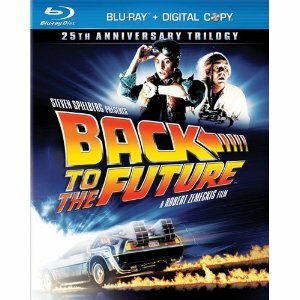 When the Back to the Future Blu-ray anniversary edition is released next week, purchasers will get more than just three of the greatest time travel movies ever. According to Joystiq, the case also includes a coupon for a free Back to the Future videogame. However, we're not talking about a revival of the NES classic that contains deadly hula-hoop girls and park benches. The Blu-ray set will instead give buyers a free episode of Telltale Games' upcoming Back to the Future adventure game series. Telltale announced in July that it was continuing the time traveling adventures of Doc and Marty McFly through its trademark episodic adventure format, and even brought back Christopher Lloyd to reprise his role. The series will be five episodes long and could take the duo to various time periods in storylines new to the franchise. The free episode can be redeemed for the PC and Mac, though its release date has not yet been determined. Those that buy the Blu-ray can register now to be notified when it comes out. Surprisingly, the code included is not unique, so the free episode may extend to more than just purchasers of the Blu-ray. Back to the Future's anniversary set will be released on October 26.